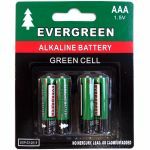 EVERGREEN 2 PACK D CELL ALKALINE BATTERY. PRODUCT CONTAINS NO MURCURY, LEAD OR CADMIUM. IN BLISTER CARD. 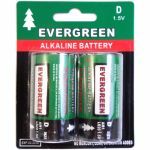 EVERGREEN 4 PACK AA CELL ALKALINE BATTERY. 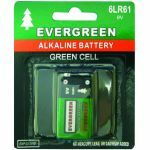 PRODUCT CONTAINS NO MERCURY, LEAD OR CADMIUM. IN BLISTER CARD. 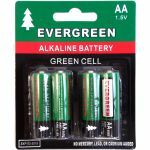 EVERGREEN 4 PACK AAA CELL ALKALINE BATTERY. 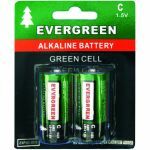 PRODUCT CONTAINS NO MERCURY, LEAD OR CADMIUM. IN BLISTER CARD.